Vkclicks: Sula Winery A one day trip...! Sula Winery A one day trip...! Sula winery Nasik is perhaps India's most popular and most accessible winery for Mumbaikar’s. So me and my friends decided to visit the winery. 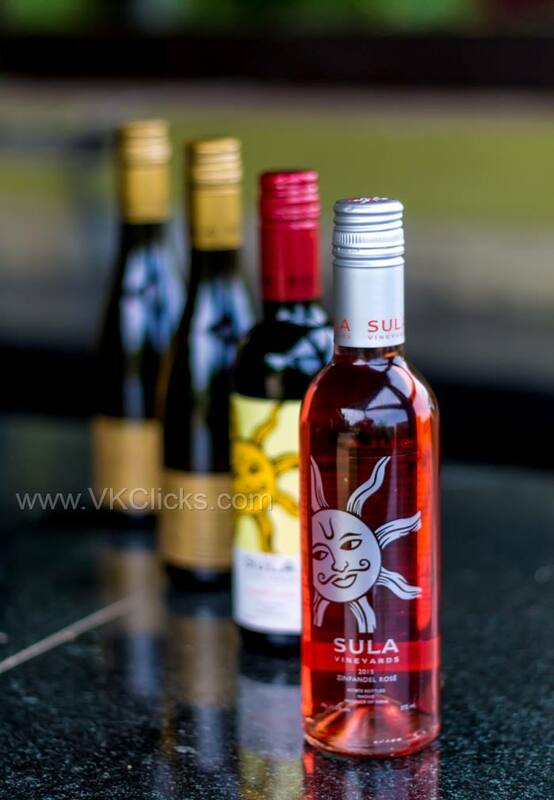 Sula Winery is located on the outskirts of Nasik, which is approximately 230 Kms from Mumbai. 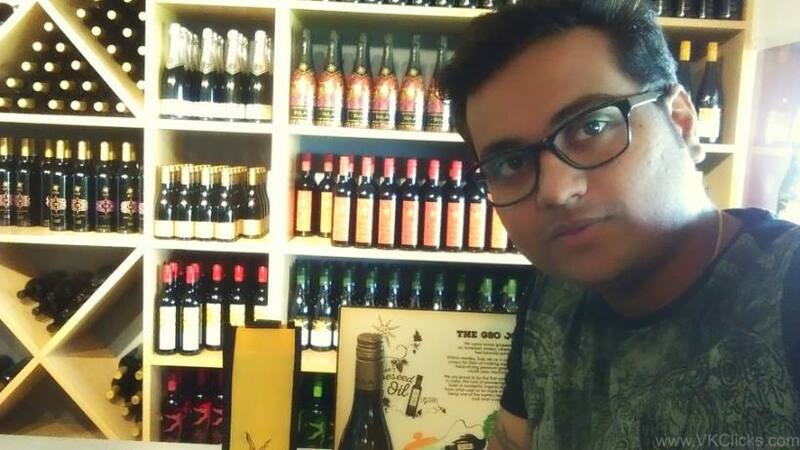 For MumbaiKars, Sula Winery is perfect gateway for weekends. The winery is open to visitors, who can enjoy a Sula Winery tour, Wine Tasting, delicious food, and fun events organize by Sula Staff. We have decided to visit Nashik for a day and kept evening hours reserved for Sula winery visit. After visiting few places of Nashik we reached Sula by around 4 PM. I stunned by the scenic view of that vineyard, wow that was an amazing landscape. In my life first time I have saw acres of grape plants at once. Sula Vinery has much to offer, but the main attraction of sula winery was the wine tasting. The wine Tour and tasting is take place on weekdays between 11.30 a.m. – 6.30 p.m. and weekends (Saturday and Sundays) between 11.30 a.m. - 7.30 p.m. (one tour every hour). The Cost for Wine Tour and Tasting is Rs. 350 which includes tour + tasting of 5 wines. For Non Drinkers cost is 100 Rs which include only Sula Winery tour. From The ground floor of Winery we bought the tickets for our Tour. 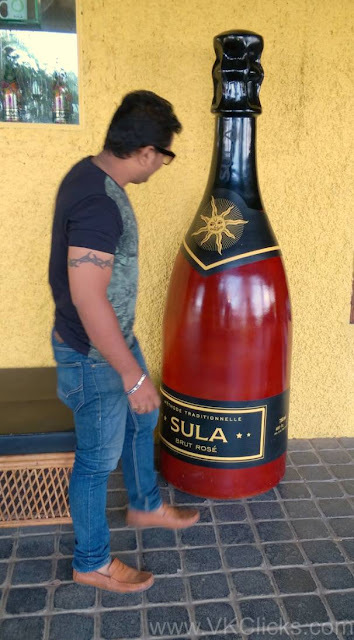 There was some time left to start our tour so we have visited the Sula Winery Shop where you can buy wines, chocolates, t-shirts, mugs and other wine accessories. A guide met us at the reception, and started with the History of Sula and he told us various steps of Wine making, wine maturing and storage. Tour was very good which gave us a very good insights about wine production, its storage, wine maturation, variety of wines and history of Sula wines. The most important part of that tour was the Wine Tasting. It gave me chance to taste at least 5 types of wines. I have tested the Rasa Shiraz, Dindori, Late Harvest Chenin Blanc,white wine, and Sula Sparkling wine. Wow it was an amazing experience. The guide have shared us some wine etiquettes, proper way to drink the wine and which wine goes well with different foods. After tasting wine we have moved to the upper deck restaurant where you can sip the wine and have view of entire vineyard with the Gangapur dam in the background. Sula Winery also has landscape gardening which can become an alternate picnic spot for who are non drinkers. You can spend the day around wine tour, wine tasting and have some great food in restaurants Little Italy and Soma which is adjacent to the main building. We had some snacks and wine and left for Mumbai by 7 pm.We had an excellent day in Sula Winery. To experience this kind of experience you must visit the Sula Winery Once.